The perfect guided tour for those who wish to experience more time on The Camino de Santiago. 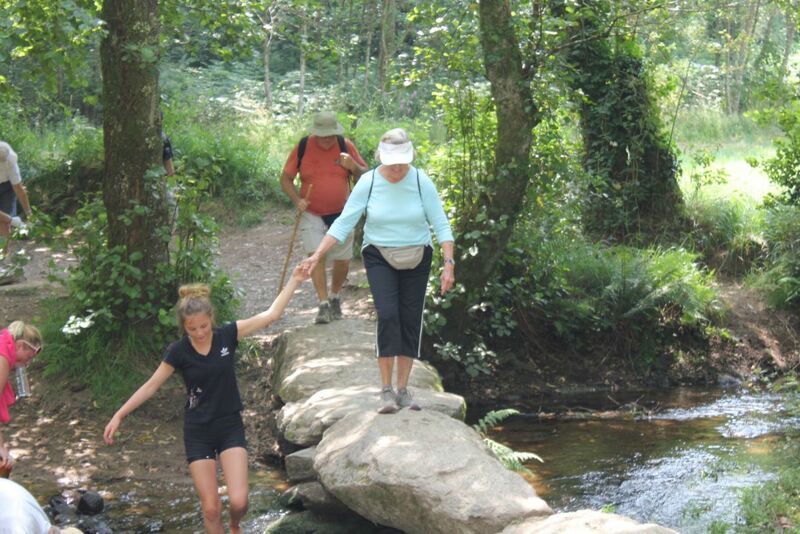 Our guided hike along the Camino de Santiago, Europe’s legendary pilgrimage, takes us through the Spanish countryside, showing us its people, its culture, its past and present until we reach Santiago de Compostela – the ultimate destination. We meet in Pamplona and spend some time sightseeing in the city known for “los San Fermines” or the running of the bulls. This evening is your official welcome dinner and you’ll be introduced to all things of the Camino. We start our journey in Cizur where we stop to collect our “credencial” which is our passport for the Camino. There is much to see along this walk including the beautiful view over the Pamplona basin from the Sierra del Perdón. We complete another entire stage of the Camino de Santiago today and the reward is a shuttle to the heart of the Rioja for some wine tasting and fine regional cuisine. Enjoy a shorter walk today and then we’ll shuttle to Burgos, home of Spain’s favorite son, El Cid. A visit to the magnificent Gothic cathedral with the best art historian in Burgos and later a stroll along the sycamore tree lined promenade. We leave Burgos this morning and exit the city along tree lined paths that take us to Castrojeriz. This road takes us past the ruins of the 14th century monastery of San Antón. We shuttle to Frómista to visit the Romanesque church of San Martin and on to Carrion de los Cóndes where we spend the night in a Monastery. Our walk today takes us through the mesetas of Leon which feature small villages, wheat fields, an oak forest and in the springtime wildflowers galore! Leon a city with so much to see and do, two days hardly seem enough! Today is a well-deserved rest day. This morning there is a guided visit to the Gothic cathedral, San Isidoro and then the afternoon is yours to explore this great city. Treat yourself to a night out on the town and explore the local taverns for the best tapas. You are in Leon which was named Gastronomic Capital of Spain in 2018, don’t miss out on incredible food and great local wines. Our walk begins in the Bierzo and we make our way up to a beautiful little hamlet of Celtic houses “pallozas” and a church which houses the Chalice of a legendary Miracle that dates back to the 14th century. The afternoon is yours to explore. Our shuttle is waiting to take us to our starting point on the Camino. We spend the day in the charming town after making several cultural stops, one of them to visit a 16th century Benedictine Monastery. From this point on we must walk every day in order to assure that we receive the Compostela. Our destination, a town rebuilt stone by stone exactly as it was in 993 A.D. Today the roads will take us through lush green forests and primitive farms still worked as they were a thousand years ago. Tonight, we dine with our friends in a very rustic farms house and watch wide-eyed as we are offered a special queimada a tradition of Galicia, which conjures up tales of witches and spirits. Arzua-Santiago We awaken with the knowledge that today we begin our final walk on our Camino de Santiago to reach our destination. Walking through eucalyptus forests we ascend the Monte de Gozo where, from the top of the mountain we see Santiago de Compostela for the very first time. We enter the city and continue to follow the familiar yellow arrows that have guided us for many days until at last we see the cathedral before us. The day is yours to enjoy this city, visit the museums, shop the silver shops, or just relax. Tonight we meet for our farewell dinner and our celebration of a journey along the Camino de Santiago we are certain you’ll remember always! Departures after breakfast. Buen Camino!